All commercial real estate derives income from tenants who pay to rent the premises. Obviously supply and demand for rental property can vary. We have seen periods in the history of Saskatchewan Commercial Real Estate where rents have flat lined for a period of time or maybe even dropped slightly. Over the long term, rental income will keep pace with inflation which is reassuring for retirees concerned about future purchasing power. 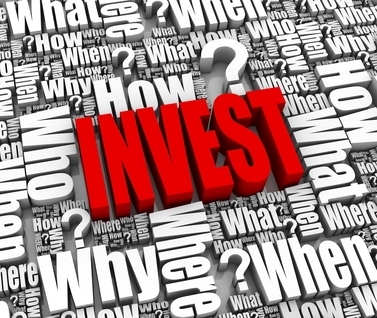 Income however is only one of the sources of return on your investment. Today you can obtain commercial mortgage funds anywhere between 2.75% and 4.5%. It is likely the property your purchased is showing a cap rate of between 6% and 7.5%. That means in addition to your return of 6% to 7% on initial investment and your tenant paying of your mortgage off, you are also receiving a return on the money your borrowed. That spread in today’s market is likely to be 2.5 to 4%….this is found money! The examples used above regarding the factors that affect rent levels is also true for the value of real estate. I can provide you countless examples of increased value in commercial real estate my clients have experienced since I have been the business. Appreciation, more than any other factor, provides tremendous growth opportunity for your capital. Let’s say two partners each invest $187,500 (plus closing costs) into a $1.5M property. It is not inconceivable for someone to offer them $2M after 5 years. If their mortgage was amortized over 15 years, they have paid down the mortgage by roughly $300,000. Add that to the $500,000 capital gain and they have each turned their initial $187,500 investment into $587,500 (less recaptured depreciation tax). Many investors, rather than selling will remortgage their property, pull out some equity and do it again. In most cases rental income should have increased to cover the additional mortgage amount. I like real estate because it is a tangible asset. I can take an older tired property, add value through renovations and thereby increase both rent income and its market value. It’s personally rewarding to transform a dated building into real estate where tenants are enthusiastic to place their business. Yet one more example of how your investment can grow. Do you have any theories on why this type of information is seldom found in mainstream media? Although residential and commercial properties both have proven to be excellent and profitable investments, commercial real estate investing might be a better option for property investors who are willing to undertake a large venture. Depending on the investment property, commercial real estate investing can provide a higher guaranteed return on investment when compared to residential properties. informative blog thanks for it……………. One of the greatest benefit of commercial real estate investments is that the assets are generally secured through leases that provide a regular income stream significantly higher than typical stock dividend yields.